Harness with H4 plug to H7. Hello! First of all I apologize for my English. My car is VW Golf 6 from 2010 with use H7 headlights. I bought an H1 hi/lo HID Projector Kit. The harness that comes included H4 connector with 3 pin, but my car has H7 female connection with 2 pin. I have contacted the seller and he has told me that there is no problem, I can install it. He has tried to explain to me how I have to cut the H4 plug and make the wire connections , but it has not been clear for me. As you see in picture, I have bought this H7 (2 wires) male connector, and I need to cut and connect this H4 plug with 3 wire in order to connect harness with my original car power H7 female. I hope I explained myself well. Can you help me please ? It should be "Positive switched," but you can check for yourself. 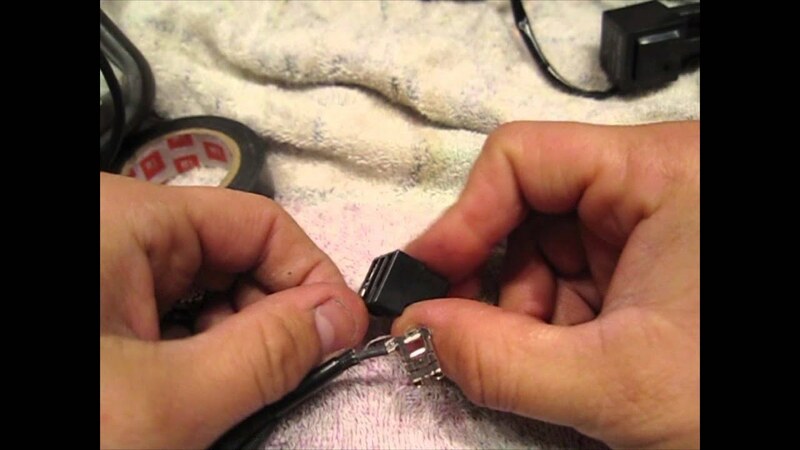 You want to connect the H7 socket to the ground and low beam lines from the H4 plug. You'll also likely want to connect your high-beam signal to the other line, too activate the high-beam solenoid. Hello and thanks for your reply , I appreciate. I am a complete ignorant about electricity issues, and I have not been able to understand the post well . I found this video on YouTube, the video is about how to transform a Harness 9003 (similar to H4) to connect it to H7. It seems simple, can I use this video for my purposes? Video is for a bike, do you think I can apply to my H7 car headlight ?